THREE-time Australian Ironwoman Champion Courtney Hancock is set to make a splash as the new Official Ambassador for the 2015 Coates Hire Rally Australia. One of Australia’s top surf athletes, Courtney made her debut in her new role at the rally’s Opal Cove Resort headquarters in Coffs Harbour today and will help promote the FIA World Rally Championship (WRC) round at numerous activities leading up to 10-13 September event. While rallying is a new sport for Courtney, she will be literally at home welcoming rally visitors from around the world to the New South Wales Coffs Coast, having grown up in the beach town of Sawtell and started her amazing surfing career on the local beaches. “I’m so excited to be representing the biggest sporting event that has ever come to my home region and having the opportunity to help showcase the Coffs Coast, the rally and my own sport of ironwoman racing to the WRC’s huge global following,” Courtney said. “This is one of the most beautiful parts of Australia and now with Rally Australia it’s also one of the most exciting. Introducing Courtney as Official Ambassador, Rally Australia Chairman Ben Rainsford said she was not only an inspiring sportswoman but also exemplified the idyllic beach lifestyle of the Coffs Coast. 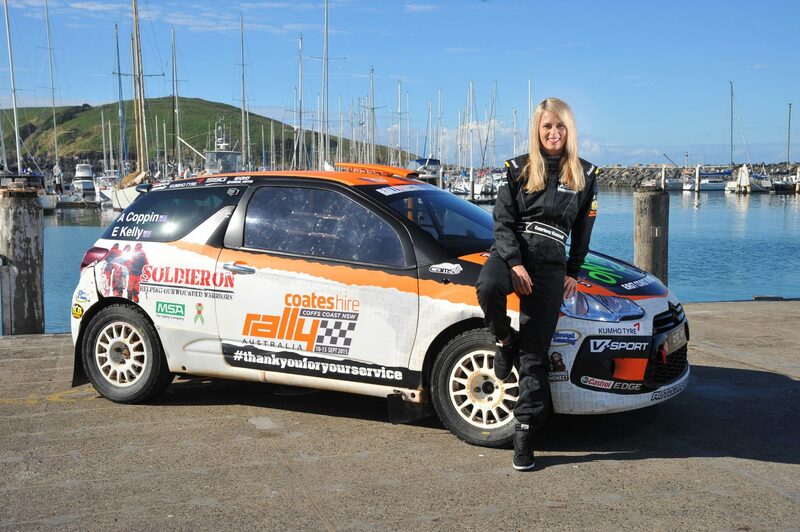 “Courtney is the perfect Official Ambassador for Rally Australia. She will help us tell the story of the unique appeal of the World Rally Championship while through her achievements representing her home region as only she can,” Mr Rainsford said. Courtney has already discovered many similarities between the personal disciplines of ironwoman surf racing and rally driving. “I recently met Molly Taylor, an Australian who is one of the world’s fastest female rally drivers. While the physical challenges are different, I can see a competitor like Molly also needs high levels of fitness and stamina and the ability to maintain calm but intense focus,” she said. Courtney’s love of the water began when she joined Nippers lifesaving movement at age five and from there she nurtured a dream to be a professional ironwoman. She achieved considerable success from a young age. She won multiple ironwoman titles in the cadet ranks at the Australian Championships and then other individual World and Australian titles in open competition. But by far the highlight of her sporting career has been winning multiple Australian and Professional Ironwoman Series titles in 2011, 2013 and 2014. When Courtney also won the Coolangatta Gold in 2011 she became the first person to win the triple crown of elite surf events in the same calendar year. She has also been a member of the Australian High Performance Team for many years, competing for Australia with distinction in Germany, Japan, South Africa and New Zealand.